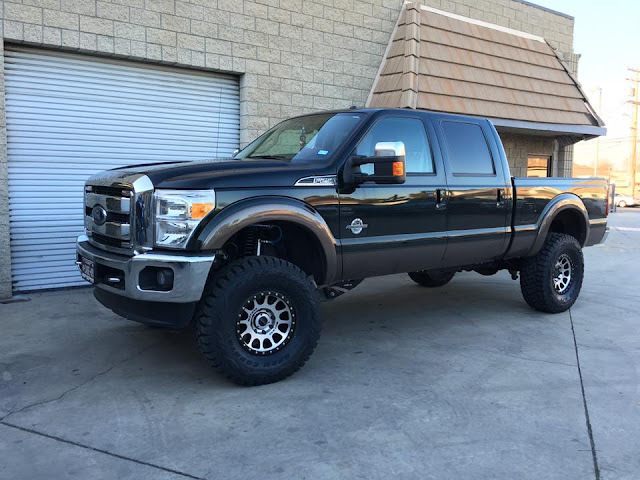 The owner of this 2014 Super Duty drove 6 hours to have us equip it with a Carli Suspension Pintop 4.5" Lift system, 17" Method Machined NV wheels, and 37" Toyo MT tires. 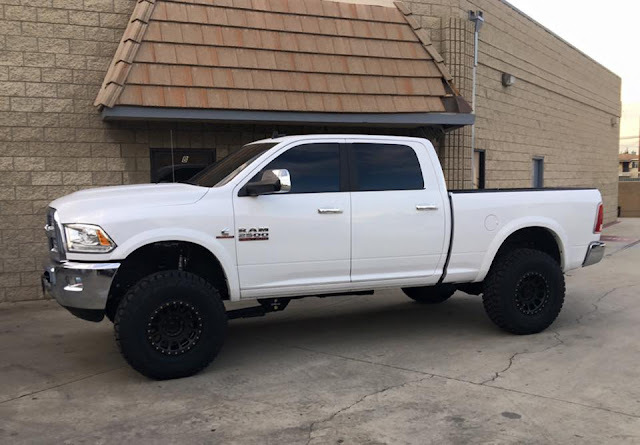 This brand new 2016 Ram 2500 Mega Cab features a Carli 2014+ 2500 Pintop 2.5 system, 18" Method Double Standards, and 37x13.5x18 Toyo MT tires. Here is another shot of the above truck showing the clearance that these wheels offer. With 5.75" backspacing wheels, the furthest point on the lugs of the 13.5" wide Toyos sticks out just under 1". 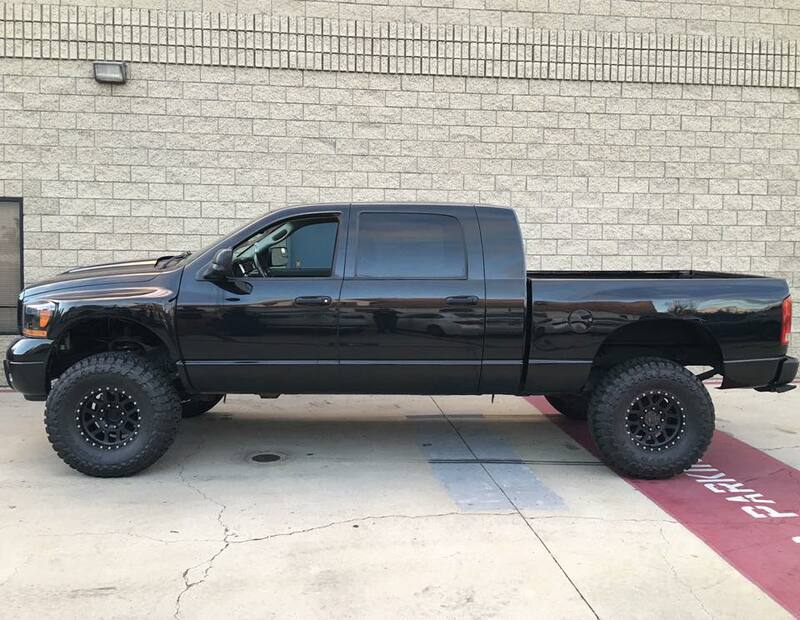 This 5.9 Mega Cab features Glassworks Unlimited fiberglass installed by True Bliss Customs, a Carli Suspension system, Method Race Wheels Mesh 17's, and 37" Toyo MT's. 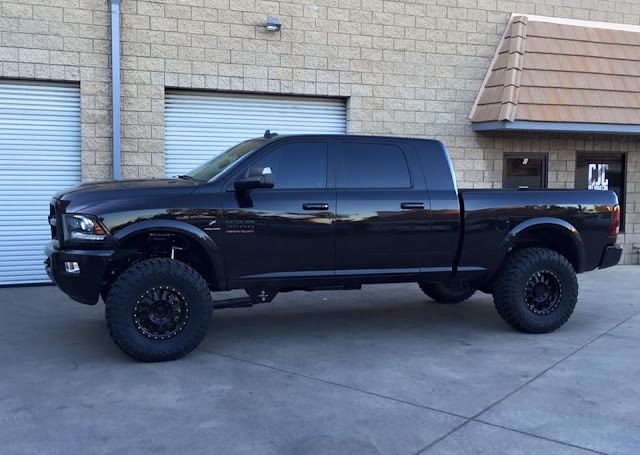 This 2015 Ram 2500 features a Carli Back Country 2.0 system, 17" Method NV's, and 37" Toyo Open Country R/T's. 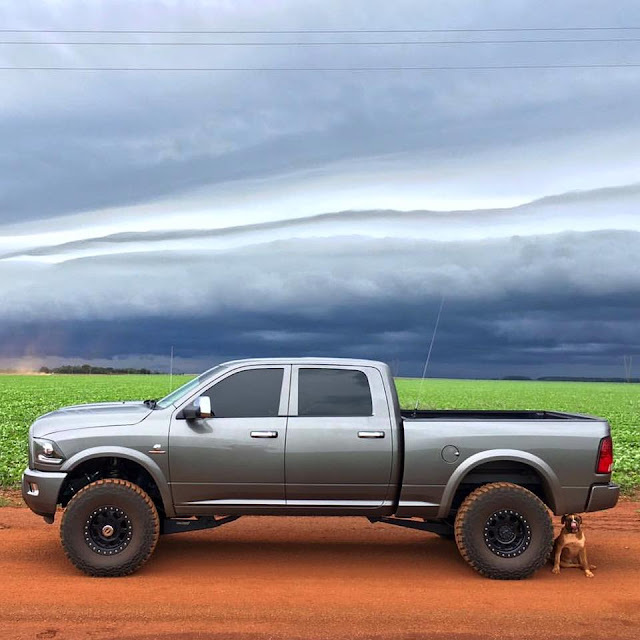 Here is a shot of our friend in Brazil's 2012 featuring a Carli Unchained 3.5 system, Thuren Fabrication Alien Arms, Patton Fabrication traction bars, Trail Ready beadlock wheels, and 37" Toyo MT's. 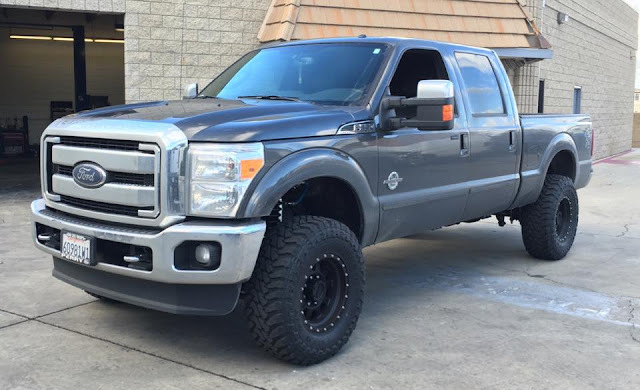 This 2015 F250 features a Carli Pintop leveling system, 17" Method Standards, and 35" Toyo MT's. Here are some pictures of a 2016 2500 with a Carli Pintop system. This truck is running factory 20's with 37x12.5x20 Toyo Open Country R/T tires. Here is a current shot of our shop 2010 featuring a Carli Unchained 3" Long Arm System, PM Truck Wheels, Mercenary Off Road bumpers, Baja Designs lighting, and 37" Toyo Open Country R/T tires. For more information on Carli Suspension products, visit http://www.cjcoffroad.com/Carli-Suspension-s/69.htm.